Sailor Venus' Chain (also known as the Venus Chain) was an item that appeared in most incarnations of the series, though its exact design has varied. It was her primary weapon, used to perform many attacks. The chain was not a physical weapon in the anime, so it was not featured as part of her Sailor fuku. It appeared as a glowing spiral of golden, heart-shaped energy links when she performed the attack Venus Love-Me Chain. In the manga, the chain was made of golden links adorned with rubies. 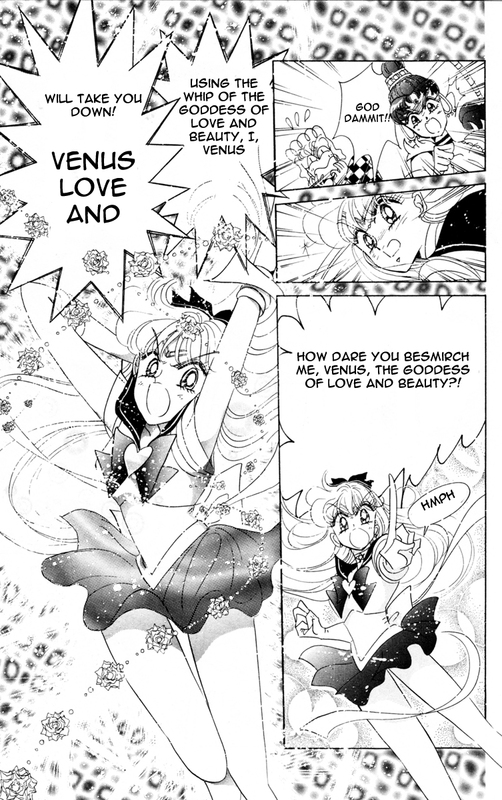 Sailor Venus wore around her waist as a belt and used it for several of her attacks; when performing Venus Wink Chain Sword, the links retained their rounded shape, but would morph into hearts when she performed Venus Love-Me Chain. The chain was later replaced by a different one, the Love Whip, when she evolved into her Super Sailor Venus form. In the live-action series, she used it to perform Venus Love-Me Chain, and also as a defensive/offensive physical weapon. The chain was strong enough to block edged weapons without breaking. The chain was used the same way as in the manga, and its design consisted of a series of red, circular beads connected by a single gold string. Aphrodite, the Greek equivalent of the Roman goddess Venus, possessed a golden girdle which had the power to make anyone fall desperately in love with its wearer. Sailor Venus' chains could be a reference to that. Her use of chains as weapons also link Sailor Venus to element Metal, one of five elements comprising the Wu Xing of Chinese tradition; a concept that influenced the abilities of the other Sailor Senshi as well (Mercury- Water, Mars- Fire, and Jupiter- Wood). In the Sailor Moon beat-em-up video game on the Sega MegaDrive (Genesis), Sailor Venus actually uses this chain as a normal attack, giving her a whip-like ranged strike which renders her considerably more effective than any of the other Senshi. 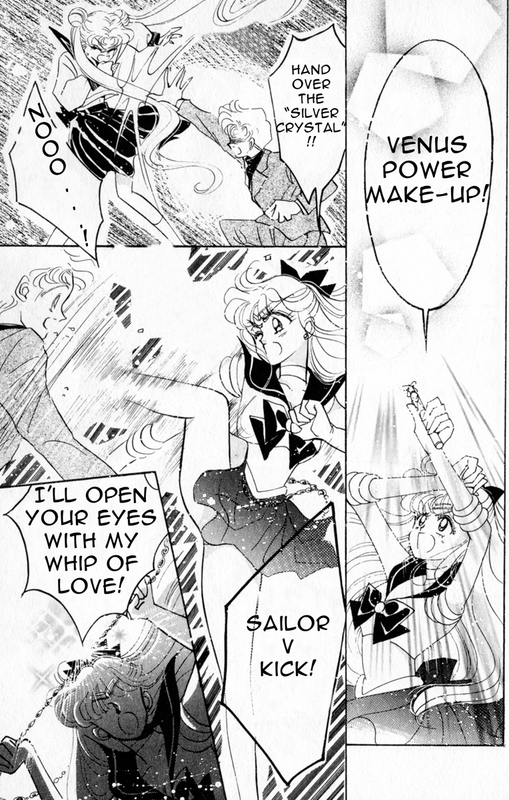 It was introduced by name in Act 11 - Reunion, Endymion, as the "Whip of Love", by Sailor Venus-herself ( and ). The Chain Venus uses upon achieving her Super-level Henshin is named by her as being the "Whip of the Goddess of Love and Beauty" ( and ).